As the scion of one of New York’s leading families, Newland Archer was born into a life of sumptuous privilege and strict duty. Though sensitive and intelligent, Archer respects the rigid social code of his class and plans to marry one of his own kind,” the striking May Welland. But the arrival of the free-spirited Countess Olenska, who breathes clouds of European sophistication, makes him question his formerly complacent life. As he falls ever more deeply in love with her, he discovers just how hard it is to escape the bounds of his society. 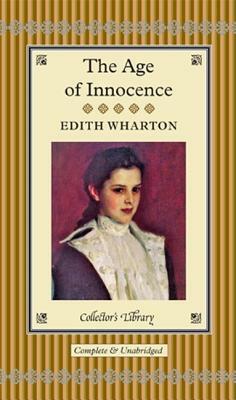 Edith Wharton’s Pulitzer Prize-winning novel is at once a poignant story of frustrated love and an extraordinarily vivid and satirical portrait of a vanished world. The world's greatest works of literature are now available in these beautiful keepsake volumes. Bound in real cloth, and featuring gilt edges and ribbon markers, these beautifully produced books are a wonderful way to build a handsome library of classic literature. These are the essential novels that belong in every home. They'll transport readers to imaginary worlds and provide excitement, entertainment, and enlightenment for years to come. All of these novels feature attractive illustrations and have an unequalled period feel that will grace the library, the bedside table or bureau.